At the North Island Rhododendron Society annual potluck dinner held on Sat. 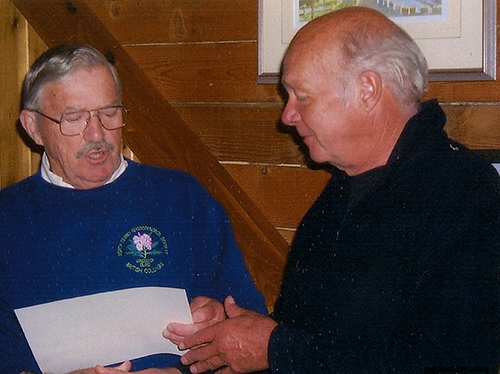 June 12, Don Law was presented with the Society’s highest award, the Bronze Medal. Don has been an active member for many years, and has always been more than willing to assist when requested. He has served on the Executive several times as treasurer and has gained valued experience on the method of keeping us in the black.